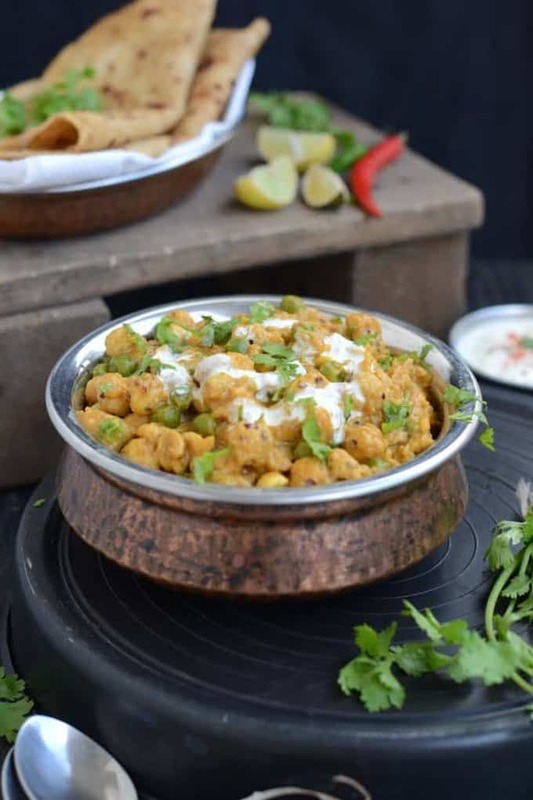 Khoya Matar Makhana Curry is a must try if you are looking for a rich and flavorful gravy. 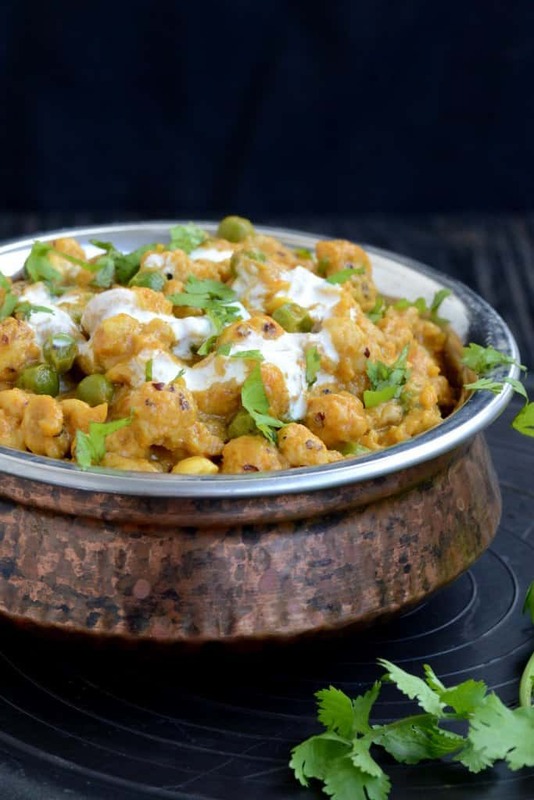 Not too spicy yet very flavorful, this is made using Phool Makhane, cashew nuts and green peas. A gravy of onion and tomato is made into which is added some khoya which gives it the richness. 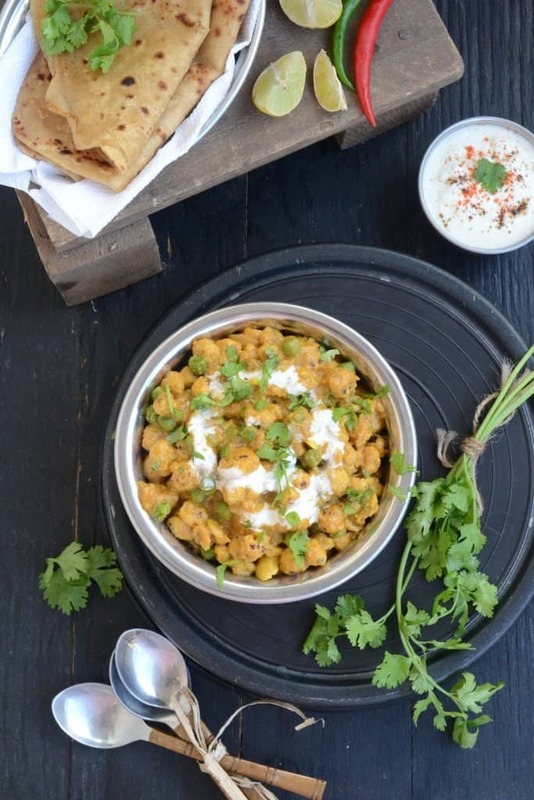 Pair it with paratha or naan, this recipe will taste good with almost everything. Makhana isn’t much known outside of North India. 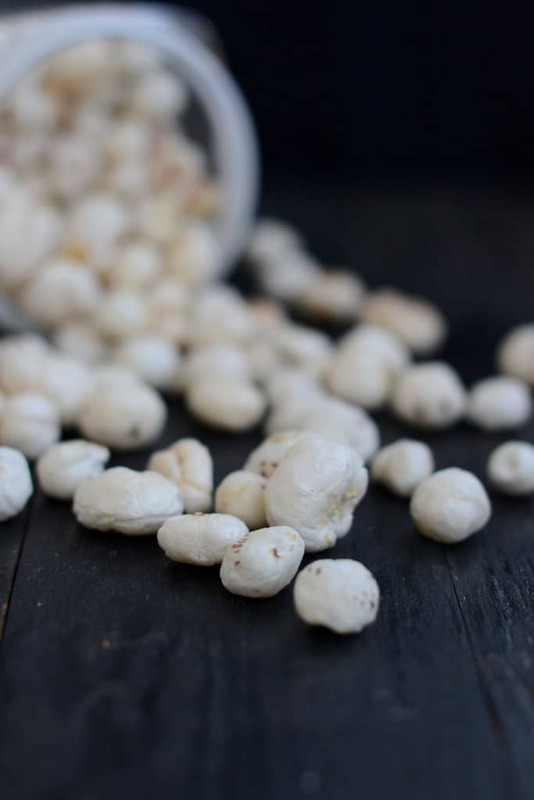 It is actually lotus seeds and is very healthy and versatile. You can even make Makhana Namkeen for evening chai. 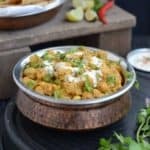 It is good to eat Makhana as a snack but occasionally Khoya Matar Makhana Curry can work out as a perfect meal as well. 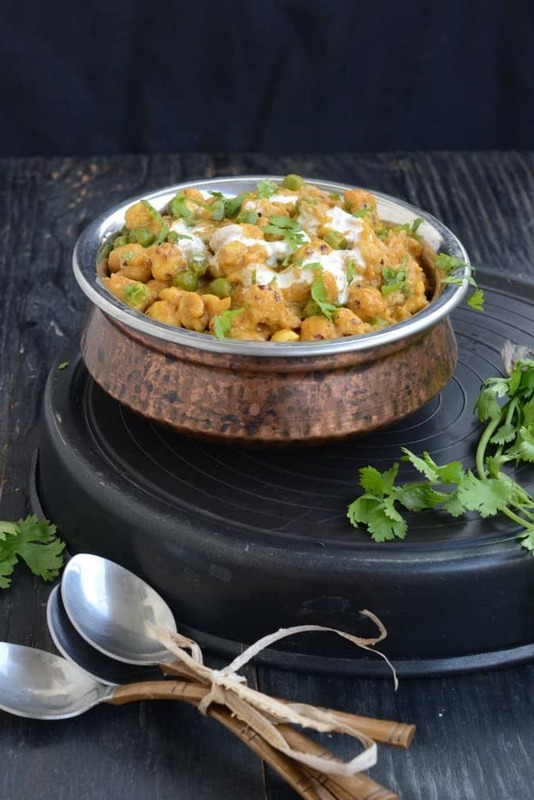 Makhana is rich with fiber and is low on calories, hence it aids weight loss. Moreover, Makhana has a high amount of magnesium and a lower amount of sodium, therefore, it is good for diabetics, people suffering from blood pressure, heart diseases et al. Additionally, it contains an anti-ageing enzyme which combats ageing. When the oil is hot, add onion. Fry till onions are slightly browned. Fry till onions are golden brown. Add tomato puree and cook for a minute. Add coriander powder, turmeric powder, red chili powder, garam masala powder and salt. Add 1/2 cup water and cook for 2 minutes. Add khoya and cook for another minute. Add 4 cups of water and bring the masala to a boil. Add makhane, matar and cashewnuts. Cook till makhane are soft and water is almost reduced. Add sugar, lemon juice and fresh cream. Serve hot with zeera rice or parathe.